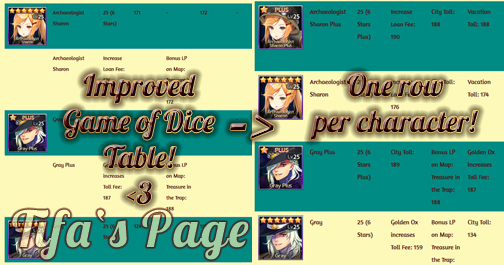 Huge Revision of the Game of Dice Characters Table! I’ve been pretty dissatisfied with my Game of Dice table for a while and finally took the time to revamp the whole thing! Before, each character had two rows which I found pretty annoying. The reason was that I still used to have the six main categories Start Money Bonus, Jailbreak, Mini Battle, Tax Discount, Vacation Toll and City Toll they all once started with. This order was doomed useless with the huge update the game got last year because from then on every character could hold not just these bonusses but any other the developers could think of! Each still got only six, but a random mix of stuff and not just the mentioned ones. After that update, I simply added a second row for those new bonusses (which took a lot of time because the old characters were changed as well) but still kept the first row for the six basic ones. Which they only had like 1 or 2 of each. BUT! That’s over now. I shrank the table to ONE row per character. The six bonusses of each character are sorted by value, highest to lowest. 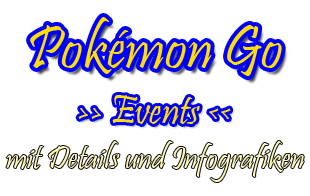 Please remember you can search the table for any character name or bonus and all results will be listed! 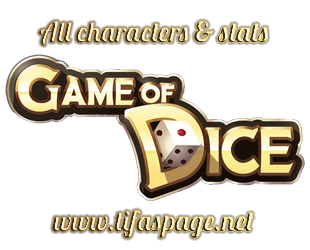 Here’s a list with all characters from Game of Dice and their highest stats at maximum level. I always double-check the values before publishing the new table, but I can’t guarantee there are no mistakes. Please tell me if you find something wrong.